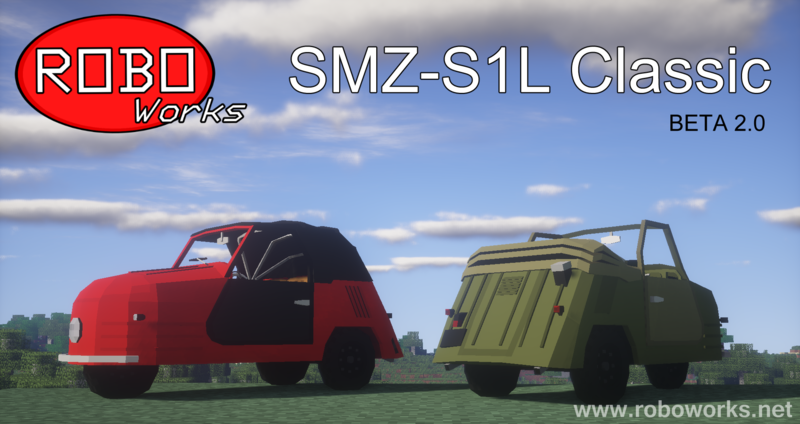 RoboWorks SMZ-S1L Classic Package is a content-pack for Flans mod which adds 50 new vehicles to the game. SMZs were tiny welfare cars produced in the Soviet Union. This package includes SMZ-S1L with an openable roof. To see more SMZs and other cars made by me click here. • Roof can be opened by pressing "K"
If you plan to use this mod/package in your video, server, or modpack, I give you my permission if you give credit by linking my website (roboworks.net) or the Curse page of this mod/package. Also, I would be thankful if you could tell me about your video, server, or modpack, as I am interested to see how my work is used. To contact me visit my website (roboworks.net).